To become involved with the Parent Association, click here. 1. The Association will help prepare parents for the changes and challenges their student will face in a University setting. 2. The Association will encourage involvement from current parents through mentoring, internship opportunities, campus activities and special events. 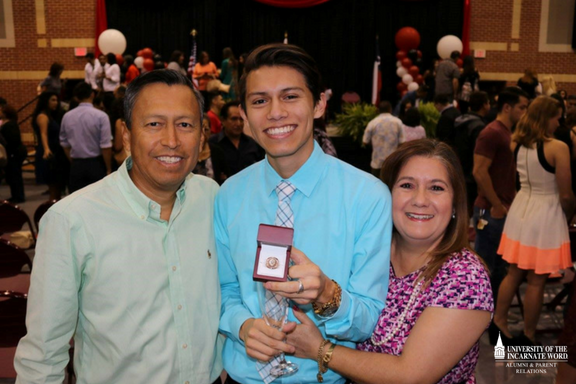 The UIW Parent Association members are also encouraged to get involved in recruitment of new students, participate in Parent & Family Day and other events hosted by the Department of Alumni & Parent Relations, Campus Engagement, First Year Engagement, Career Services and Admissions. Please contact the Department of Alumni & Parent Relations for inquiries at (210) 805-5899 or email at parents@uiwtx.edu.